It’s no secret that services on the first day of Rosh Hashanah are much better attended than those on its second day. But what the second day of the Jewish New Year lacks in attendance, it makes up for in narrative drama. In synagogue that day, we read Genesis 22, which recounts the binding of Isaac, a chapter that shapes the way we understand our relationship with God and, potentially, with one another. Many commentators focus on the way that Abraham’s faith is tested when God asks him to sacrifice his beloved son, Isaac. Abraham gets to the very moment of killing his son before being stopped by an angel. The school of religious thought that celebrates blind faith hails Abraham for his willingness to put obedience to God ahead of filial love. “Only son”? We know that Abraham had another son, named Ishmael. He was born out of Abraham’s union with his handmaiden, Hagar. It is only when Sarah gives birth to Isaac in her old age that Ishmael loses standing in the family. This happens when Sarah insists to Abraham that Hagar and Ishmael be banished from the household, all of which is recounted in Genesis 21. Abraham does not question God’s command to sacrifice Isaac. Nor does he question Sarah’s command to banish Hagar and Ishmael. What’s to admire? In Genesis 22:2 it is hard to accept that God thinks Abraham has only one son. In the previous chapter, God appears to a desperate Hagar, who expects to die in the wilderness with her son. God shows Hagar a well of water, and she picks up her son from the ground and gives him drink. At that moment, God promises to make of Ishmael a great nation. Abraham is thus seen as the father of two great nations, the Jews, through Isaac, and the Arabs, through Ishmael. Perhaps God is not testing Abraham’s faith as much as he wants him to revisit his behavior toward Ishmael. The same Abraham who pleaded to save the lives of sinners in Sodom and Gomorrah cast his first son into the wilderness at the behest of Sarah without a second thought. Now God wants Abraham to experience the near loss of the son he favored in the hope that he can stir compassion in him for the son he cast out. After Isaac’s life is spared, Genesis 22:19 tells us that Abraham returned to his entourage waiting for him at the base of the mountain. The Hebrew is vayashav Avraham — “Abraham returned.” It is worth noting that the root of the Hebrew word vayashav is the same as the word for “repentance,” teshuva. The midrashic tradition suggests that Abraham came to regret how he treated Hagar and Ishmael and sought them out later in his life to make amends. Maybe the binding of Isaac was the beginning of his process of teshuva. It would be easy for us to make Sarah the villain here, as it is her jealousy that leads to Abraham’s heartless act. But, in fact, we are all subject to the impulse that drives Sarah. We believe that love is a limited resource. If X enjoys love, favor or affection, then there is not enough for me. I thus need to either compete with X, cast aspersions on X’s reputation by speaking ill of him or her, or eliminate him or her. We do this in our families, in our work places, in our congregations and in our politics. Rosh Hashanah calls on us to repent. Its biblical readings teach us that when we see the world through eyes that are too selfish and self-centered, we destroy the fabric of our families, not only our biological families but the human family as well. The higher self, of which we are capable (and which, for believers, is expected by God), must see that love and compassion can be an ever-expanding commodity rather than a scarce resource to be hoarded. It requires seeing every other person as representing the image of God. 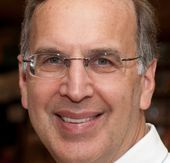 Rabbi Sid Schwarz is a senior fellow at CLAL-The National Jewish Center for Learning and Leadership and director of the national interfaith project Faith and the Common Good, based at Auburn Seminary. He is the author of “Judaism and Justice: The Jewish Passion to Repair the World” (Jewish Lights, 2006). This story "Sid Schwarz: Abraham and Sons" was written by Sid Schwarz.